FiddleBop musician Dave Favis-Mortlock. Jazz with Gypsy zing! 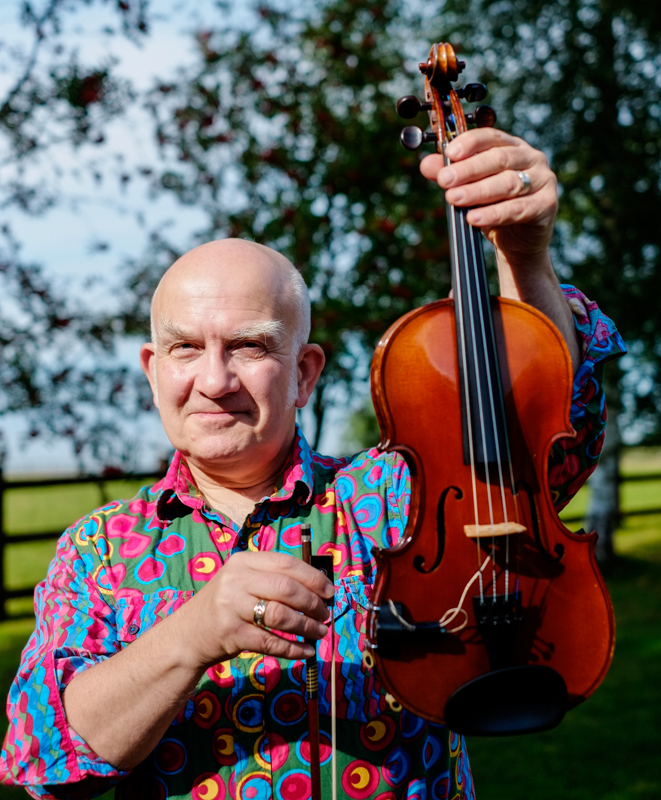 Dave Favis-Mortlock (yes, that really is his name) plays violin, viola and flute for FiddleBop. He sings, too. 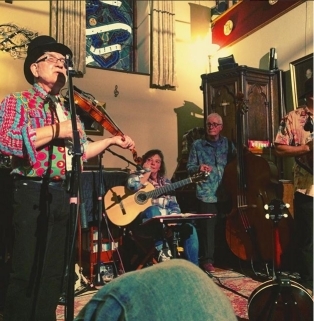 "Jazz Jazz with Gypsy zing" is his passion, but he has played many other kinds of music. Dave is a self-taught violinist. He began playing in his teens, in a caravan — suitably distant from house and neighbours — in his parents' back garden. Soon the Basildon (Essex) air was alive with the sound of jigs and reels! Then Dave's musical career began, first playing folk music with the Banbury-based Rollright Stones during the late 1970s. 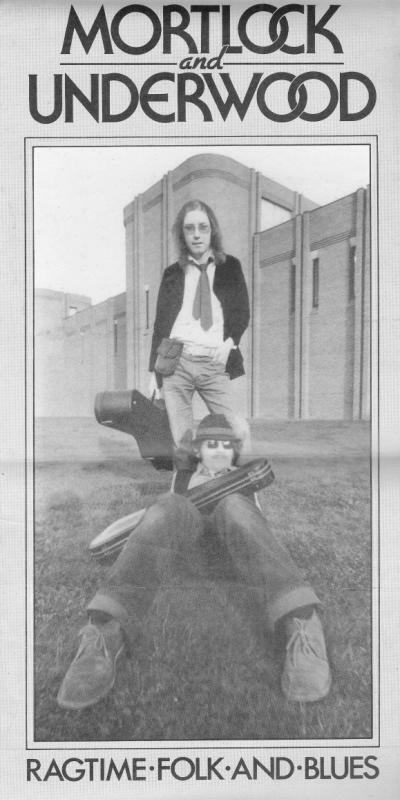 Next came a long-running partnership, as "Mortlock and Underwood", with wizard folk-blues guitarist Frank Underwood. In the mid 1980s, Dave co-founded Brighton-based folk-punk band Tricks Upon Travellers. Then following a move to Oxford in the 1990s, he played "mediaeval and renaissance pub music" with trio Westron Wynd. However, Dave had a long-standing musical hankering: one which he didn't confess to anyone, not even to himself (except sometimes, after a couple of beers). He really, really wanted to play jazz violin. This secret desire began in his teens when, one Christmas, his Mum bought him a Stephane Grappelli record. One spin of the disc on Boxing Day, and that was it! From that moment onwards, Dave knew that — someday — he had to learn to play jazz on the violin. But he had no real idea how to begin. Then with a new century came a new resolution: so firmly believing that "Even the thousand-mile-road has a first step", Dave resolved to learn something of the art of jazz improvisation on the violin. The rest, as they say, is history. In 2003, Dave met Jo, and they began playing jazz together. The duo became a quartet called FiddleBop, which gigged regularly in and around north Oxfordshire for about thirteen years. Then Jo and Dave moved to Wales and, in 2018, re-formed FiddleBop. Dave is still learning to play jazz violin, but is getting there. When not making music, Dave is a geomorphological modeller currently based at Oxford University. He enjoys hypothesising, procrastinating (tho' he is thinking about giving this up), and being married to Jo.